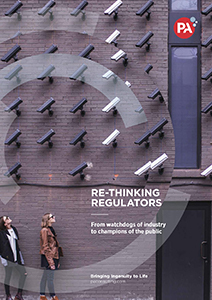 Although regulators are seen as a force for good by both businesses and consumers, all too often they are playing catch up. Businesses told us they expect to lose revenue if regulators don’t evolve to keep pace with disruptive change in the next two to three years. We have identified four key principles that regulators need to adopt if they are to remain effective and relevant in this rapidly changing environment.